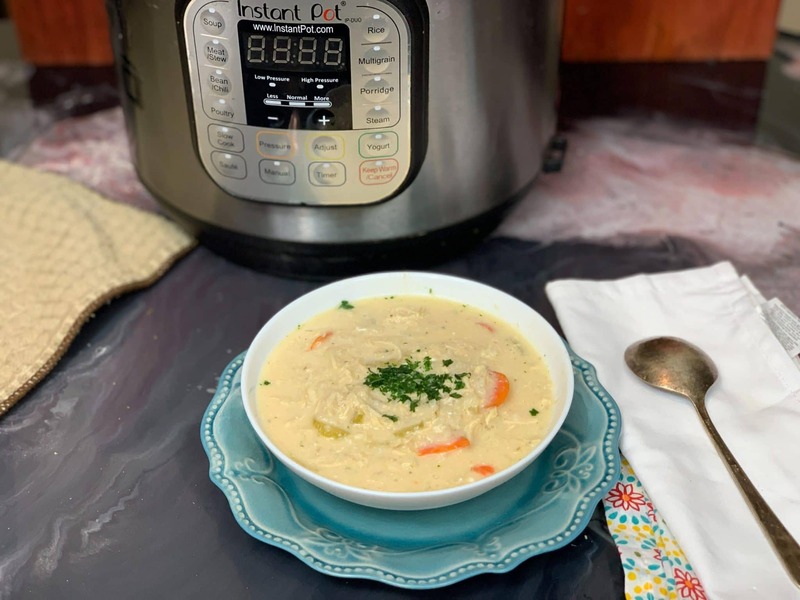 If you are a fan of crack chicken then you are going to want to try my Crack Chicken Soup in the Instant Pot. Instant Pot newbies always go insane for my friend Adventures of a Nurse’s Instant Pot Crack Chicken. I love her recipe and was craving the flavors that come with using dry ranch season mix and needed something I could use frozen chicken breast to make. 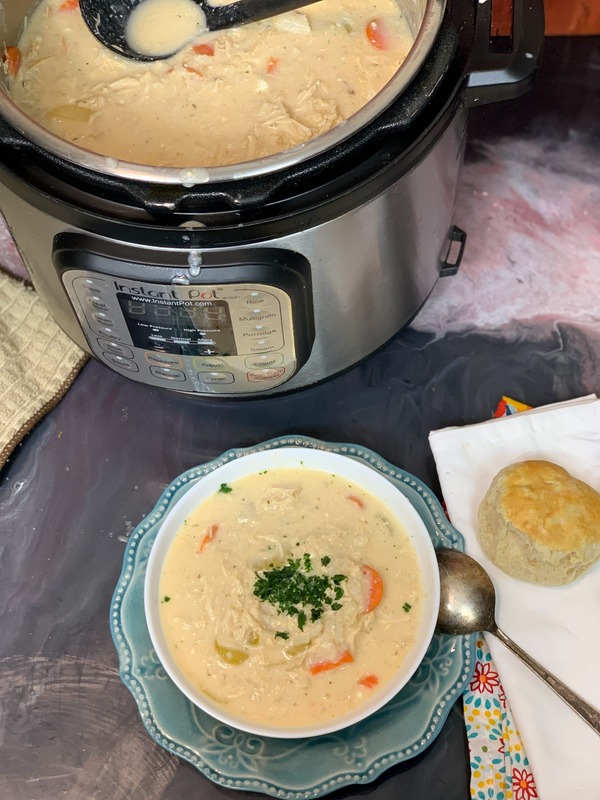 But because it is cold in Indiana right now, I needed soup and I needed to use my instant pot, so I made Crack chicken soup. This crack chicken recipe did not disappoint. It is an adaptation of my Crack Chicken With Rice, a more hearty crack chicken recipe, and it’s one that my family also loves. Let me tell you my girls are super picky! There are a handful of recipes that they love. Because they are so picky I had to formulate a list of go-to meals that I know they will eat. 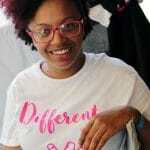 When I decided to make crack chicken soup, I wasn’t 100% sure that they would like it, even though they love the other crack chicken recipes that I have found. To my surprise, they loved it, even went in for a second helping! This was for sure a mom win. I get this question every time I say the words crack chicken. The flavors of dry ranch seasoning mix paired with the creaminess of cream cheese and cheddar make this chicken dish 100% addictive. Just give it a try and you will totally understand. What do you serve with crack chicken? I served up this crack chicken recipe with some amazing homemade biscuits. My oldest daughter put her biscuits in a bowl and then poured her stoup right on top. This soup definitely hit the spot. How many chicken breasts are in a pound? Chicken breast vary a bit in size. I generally buy large chicken breast because I know off the top of my head they will be equivalent to about 1 pound for each breast. It can get tricky, but you eventually get the hang of What is the average weight of a chicken breast? This recipe doesn’t call for a ton of ingredients, just some chicken (fresh or frozen works), even leftover works, dry ranch and some veggies. Super easy and my family always loves when I make a crack chicken recipe. 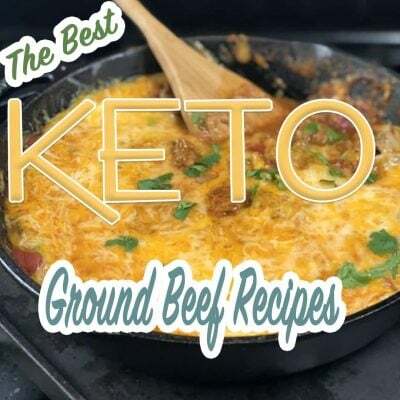 Need a low carb version? That’s really easy! Just eliminate the rice in this recipe and then you have keto crack chicken that you can serve up with some celery sticks or even eat it with a fork, either way, it is still an amazing recipe. This crack chicken recipe did not disappoint. It is an adaptation of my Crack Chicken With Rice, a more hearty crack chicken recipe, and it's one that my family also loves. Add everything except cream cheese and cheddar to your pot. Good recipe, but had a mess due to quick release. I followed the recipe exactly, but I do not recommend doing quick release, unless you want an exploding mess all over your instant pot and counter! That’s odd, as you can see in the video. I didn’t get a mess. The above recipe calls for cream of chicken soup, but I didn’t see you add that. Did I miss it or did you omit that ingredient? I will edit, I add it in the end. this video is very confusing. You put in bullion cubes, not in the recipe, up put the ranch in before you cook it, in the directions it says to add ranch last, I don’t know what 5 c means cups or cans. 1 c Cream of chicken soup . can or cup. i hope it turns out for me. c means cup, if it were can I would write it out, adding the ranch at the end was a typo while writing the recipe, I thank you for pointing it out. It has been fixed. Where do you get the dried buttermilk? I got mine at Kroger last time. It’s in the baking isle. I have also gotten it at Walmart. This is very yummy, thank you! However I did the quick release and it was a mess. Did you use 5c water + 2 boullion cubes in the video instead of 5c chicken broth as stated in recipe?